Located in the heart of Virginia’s capital city, Richmond, VCU School of Nursing is part of Virginia Commonwealth University, a premier, urban public research university with national and international rankings in sponsored research. Our school is ranked among the top 50 nursing graduate schools nationwide by U.S. News and World Report. Come see why we’re a top, accredited nursing school with exceptional licensure and certification outcomes, as well as alumni who advance to become nurse leaders within health systems, policy organizations, higher education, and more. Bachelor’s B.S. • Accelerated B.S. Minority Nurse magazine is committed to increasing diversity and inclusiveness in academics and nursing practice. Diversity is more than a check box on a form, more than a dry statistic hidden in a table of demographic data. It is more than the color of one’s skin, the nation of one’s heritage, or the origins of one’s social beliefs. Diversity celebrates culture. Diversity is inclusive. Diversity is the catalyst for the collaboration and discovery that is essential for an understanding and appreciation of the human spirit. Diversity allows us to engage with our differences and provides the mechanism that leads to acquiring cultural sensitivity and achieving cultural competence. We honor the individual and the community. We encourage ourselves and others to behave equitably. We promote acknowledging and respecting different beliefs, practices, and cultural norms. We uphold academic excellence, celebrate best practices, honor traditions, and embrace change that advances our objectives of caring for ourselves, advancing our educational and career opportunities, and providing quality health care for our patients. We are Minority Nurse magazine. Join Our Community. Get your Free Subscription! Visit www.MinorityNurse.com and subscribe today! to protecting your privacy online to help you present your best cyber self (page 10). to figure out who you are (page 36). Don’t let others define you. Now is the time to share your story! Minority Nurse (ISSN: 1076-7223) is published four times per year by Springer Publishing Company, LLC, New York. Articles and columns published in Minority Nurse represent the viewpoints of the authors and not necessarily those of the editorial staff. The publisher is not responsible for unsolicited manuscripts or other materials. This publication is designed to provide accurate information in regard to its subject matter. It is distributed with the understanding that the publisher is not engaged in rendering legal or other professional services. If legal advice or other expert assistance is required, the services of a competent professional person should be sought. The publisher does not control and is not responsible for the content of advertising material in this publication, nor for the recruitment or employment practices of the employers placing advertisements herein. Throughout this issue we use trademarked names. Instead of using a trademark symbol with each occurrence, we state that we are using the names in an editorial fashion to the benefit of the trademark owner, with no intention of infringement of the trademark. 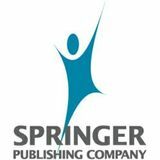 Minority Nurse ® is a registered trademark of Springer Publishing Company, LLC. © Copyright 2019 Springer Publishing Company, LLC. All rights reserved. Reproduction, distribution, or translation without express written permission is strictly prohibited. Survivors of early-stage breast cancer who participated in a lifestyle intervention on healthy habits lost weight and experienced higher rates of disease-free survival if they completed the program, according to results presented at the 2018 San Antonio Breast Cancer Symposium, held December 4–8. outlook was similar in both univariable analysis and when the researchers controlled for factors such as age, menopausal status, tumor size, hormone receptor status, and chemotherapy type. Janni says that while the exploratory analysis should be interpreted with caution, this study indicates that completion of a systematic telephone lifestyle intervention program may positively affect outcomes for patients diagnosed with early-stage breast cancer. “Lifestyle intervention might improve the prognosis of breast cancer patients if adherence is high,” Janni says. “This was a highly feasible program to design and implement, and further studies are warranted to confirm its effectiveness.” He says future research could include additional subgroup analysis and could examine whether the improved outlook for diseasefree survival also correlates with certain biomarkers. Janni cautions that the most significant factors affecting disease-free survival are tumor stage and tumor biology. He says a limitation of this study is that the patients who chose to complete the lifestyle intervention may have already been more motivated to improve their fitness. For more information, visit www.aacr.org. Some Gut Cells Slow Down Metabolism, Accelerate Cardiovascular Disease Researchers have discovered how specific cells in the guts of mice slow down metabolism and eventually contribute to obesity, diabetes, hypertension, and atherosclerosis. The findings, scientists say, could have important implications for the prevention and treatment of these kinds of metabolic diseases in humans. The study was funded by the National Heart, Lung, and Blood Institute (NHLBI), part of the National Institutes of Health and appears in the journal Nature. sity, hypercholesterolemia, diabetes, and hypertension.” For more information, visit www.nhlbi.nih.gov. New Data Show Growing Complexity of Drug Overdose Deaths in America U.S. overdose death rates linked to synthetic opioids, likely from illicitly manufactured fentanyl (IMF), increased more than 45% from 2016 to 2017 while death rates from heroin and prescription opioids—still far too high—remained stable. deaths in 2017. Of the 35 jurisdictions reporting data sufficient for analysis, 23 states and the District of Columbia saw increased rates of death linked to synthetic opioids. IMF likely drove the 1.5-fold increase in deaths involving synthetic opioids from 2016 to 2017. Previously, deaths involving synthetic opioids mainly occurred east of the Mississippi River. The latest available data now show eight states west of the Mississippi had significant increases in such deaths: Arizona, California, Colorado, Minnesota, Missouri, Oregon, Texas, and Washington. While overdose deaths involving synthetic opioids expanded, heroin- and prescription-opioid-involved deaths remained stable from 2016 to 2017. However, overdose death rates involving heroin and prescription opioids were, respectively, seven and four times higher in 2017 than in 1999. Some preliminary indicators in 2018 point to possible improvements based on provisional data; confirmation will depend on final 2018 data and results of pending medical investigations. The Drug Overdose Epidemic Grew and Evolved in 2017 There were more than 70,000 drug overdose deaths in 2017, with a rate of 21.7 per 100,000 population. The rate increased by nearly 10% from 2016. The rates of overdose deaths involving cocaine increased by more than 34%. The rate of overdose deaths involving psychostimulants increased by more than 33%. Opioid death rates differed across the states examined in this study, with the highest relative increases occurring in North Carolina, Ohio, and Maine. From 2016 to 2017, opioid-involved deaths: •	Increased for both sexes. •	Increased among all people in all age groups over the age of 25. •	Increased among white, black, and Hispanic people. •	Had the largest absolute death rate increase in males 25-44. •	The largest percent change increases in opioid-involved death rates were among blacks (25.2%) and adults over age 65 (17.2%). better research, increased access to naloxone, and better pain management. Within HHS, CDC conducts surveillance and research; builds state, local, and tribal capacity for prevention; supports providers, health systems, and payers; partners with public safety; and empowers consumers to make safe choices. “Drug overdose and opioidinvolved deaths are a critical public health issue. It is important for CDC to share these data so states and communities have the information needed to inform their prevention activities and better respond,” says the report’s lead author and epidemiologist Lawrence Scholl, PhD, National Center for Injury Prevention and Control. CDC is working with states across the country through the Enhanced State Opioid Overdose Surveillance (ESOOS) program to develop a multifaceted approach for faster and more comprehensive surveillance to track emerging threats in order to prevent and respond to the epidemic. The December report also reinforces the continued need for response strategies including increasing naloxone availability, educating patients and providers about safe prescribing practices, reducing the syndemic of infectious diseases and opioid overdoses, providing patients with linkage into treatment, and fostering greater collaboration between public health and public safety. Some programs require onsite components and/or residencies. All nursing degree programs require clinical/practicum experiences. BSN- Traditional 4-Year Program* *Only offered onsite in Marion, Indiana. 7 INDIANA EDUCATION CENTERS . .
ing that data and applying it to an algorithm,” she adds. on practices which essentially “profile” applicants and employees. “We need to attract more racial and ethnic minorities to nursing,” says David Wilkins, chief strategy officer of Woburn, Massachusetts-based HealthcareSource, a provider of talent management systems for hospitals. “We’re thin in labor supply and there’s a high labor demand.” The unemployment rate in health care is so low—RNs at 1.4%, and NPs at 1.1%, according to recent Bureau of Labor Statistics reports. “With such an acute shortage, it’s hard to believe that people are consciously turning away any candidates.” Wilkins wonders if unconscious bias, such as when an applicant has an ethnic sounding name, may be at play. fact, one nurse signed up with Relode and referred seven other nurses, earning money for connecting people she already knew to new opportunities, he adds. internal database of qualified nurses before posting the job publicly. living room and sat on the couch and don’t even know who I am.” But recruiters say that reaching out to nurses in the traditional way isn’t efficient, so they have to employ new channels. “Our team has found that texting is a really great way to communicate for nurses. They’re busy and so instead of leaving a message and waiting for a call back, a text is a brief but direct conversation,” says Christopher. job before this one was with a startup who found me because I’d SEO’d [search engine optimization, or the process of affecting the visibility of a web page] my profile online so well… I always tell people— take a phone call. You never know.” Jebra Turner is a freelance writer located in Portland, Oregon. Visit her at www.jebra.com. their company so that’s where their loyalty lies. They know when you’re not asking for enough money, for instance, but they won’t tell you where you’re leaving money on the table. It’s not like other industries where people are required to disclose a conflict of interest—when real estate brokers represent both sides in a transaction, they’re legally required to disclose their dual agency. 3. Nurses have the power to create better relationships with recruiters. I’m one of the thousands of nurses working with Kaiser Permanente right now. You go online and create a profile on their portal, and they email you when an appropriate job pops up. But that’s not how all jobs get filled in a hospital. It’s all about relationships. Managers are always asking me “Jake, do you know anyone who’s looking for a job?” Every hospital is looking for good nurses, and nurses who have good communication skills are hard to find. If I had one piece of advice for new graduates, it’s “Don’t text a recruiter, and don’t think of email as a long text. Email is an online version of a letter, so don’t leave out the niceties.” When you communicate fully, you show that you’re different and that you have professional communication skills. I received a call from Dr. Gloria Rose, my former professor at Prairie View A&M University College of Nursing, asking me to be the keynote speaker at the Pinning and Hooding Ceremony on May 9, 2018. After taking a breath, I accepted the offer and stated, “Yes, I am honored to do it.” As soon as I got off the phone with Dr. Rose, I called my mother and she was so proud of me. They say that you learn from your mistakes. I learned that day to always “take my time.” developed four rules which have assisted me to accomplish success. The following rules have supported my differential diagnoses and plan of care for clients. you are in trouble.” I held my tongue. I remained calm and quiet. As I reviewed the chart there was a copy of his blood pressure log, which showed improvement in his blood pressure since taking the lisinopril. This man is homeless and does not have the comfort of a home with a restroom. He has to locate a public restroom to relieve himself. In my professional opinion, changing the medication was the best treatment for him and improved his quality of life. It’s great to know when you have improved the client’s quality of life. This is the greatest satisfaction of all to achieve as a NP. ployed with Signify Health and travels to insurance member’s homes in Texas and Montana to complete a Health Risk Assessment (HRA). “Nurses know what crosses a line and what doesn’t,” she says. Because of the physical nature of nursing, however, Long says that inappropriate physical behavior can sometimes be more difficult to recognize. by saying that it was a compliment. Celia left his room immediately. The first thing she did was post on the staff’s white board that she would no longer care for this patient. When she calmed down, she emailed her managers and then communicated with them in person the next day. Celia’s managers were supportive. She never saw the patient again, and he left the facility a few days later. results, it states, “By gender, female nurses… were much more likely to say they had been sexually harassed than their male counterparts (73% for female nurses vs 46% for male nurses).” No matter the gender of the nurse who experiences it, sexual harassment is wrong. That said, how do you decide if what a patient is doing or saying is sexual harassment? ship/discharge so that the patient is not abandoned, and there is a transition of care,” she says. The American Nurses Association has challenged nursing professionals to end sexual harassment in the workplace by adopting a zero-tolerance policy. “Much has been written lately about the importance of nurses engaging in self-care. Not tolerating sexual harassment is an integral component not only for self-care, but also for self-respect, vital for professional effectiveness. Speak up when sexual harassment occurs and facilitate a civil work environment,” Flynn says. The Bottom Line “If the organization is not responsive to the nurse’s claims, s/he should consult legal counsel or their union. No one should be subjected to sexual harassment in the work place,” says Levin. Long says that harassment, whether physical or verbal, has been perceived in health care as “part of the job.” But it’s not and never should be seen as such. “It is never acceptable to be harassed by anyone at any time. Nurses are an integral part of the health care team and should command the same respect as every other profession,” says Long. “Unfortunately, nurses have been depicted in a sexual manner for ages and that has demeaned the profession. Being a nurse does not negate my rights as a human being to not be verbally or physically assaulted.” “I took an oath to care for others, but that does not mean that I have to sacrifice my physical or mental wellbeing,” Long adds. Michele Wojciechowski is a national award-winning freelance writer based in Baltimore, Maryland. She loves writing about the nursing field but comes close to fainting when she actually sees blood. She’s also author of the humor book, Next Time I Move, They’ll Carry Me Out in a Box. nursing.vanderbilt.edu Vanderbilt is an equal opportunity affirmative action university. Nursing can be a rewarding, but stressful career. Experienced nurses share the warning signs of burnout and tips for being a resilient nurse. educating nurses on how to respond and mitigate symptoms of BOS we hope to prevent nurses from leaving the profession. BOS has been called a ‘silent epidemic’ because nurses and other clinicians have been afraid to speak up about their feelings, and instead the nurse ‘votes with their feet’ by leaving the unit and/or profession,” says Good. If you feel that you are already in burnout mode, take some time to explore your career options. PCCN, a critical care nurse who launched TheBurnoutBook.com to help nurses combat burnout. “It comes on so gradually, one bad shift at a time, and before you know it, you dread clocking in to work,” says Rodriguez. “Early recognition is key. You need to pause and assess yourself frequently for signs of fatigue, depression, or feeling cynical or apathetic toward your work. You might go home feeling emotionally or physically drained more days than not. You might feel anxious and find your mind racing, thinking about work. personal and professional sense of accomplishment is a warning that burnout has set in. ment or position doesn’t help, then it’s time to look at nontraditional career tracks such as becoming a health coach, nurse entrepreneur, or nurse educator. “It comes on so gradually, one bad shift at a time, and before you know it, you dread clocking in to work,” says Rodriguez. based in Kansas City, Kansas. Prepares nurse practitioners, clinical nurse specialists, clinical nurse leaders and nurse midwives. Pay in-state tuition no matter where you live in our online programs. Degrees of Success stricting. I felt like I was going to explode. A counselor diagnosed me with both panic disorder and generalized anxiety disorder. ly. All my friends and family were there to support me. Panic took the backseat. After passing the NCLEX, I worked in a couple of different clinics and health systems gaining invaluable experience. Despite my fear of rejection, I applied and was accepted into a master’s program for midwifery. I now happily work at a fertility clinic and am excited to graduate the midwifery program stronger than ever. I have discovered my interests within the nursing field, which include researching the United States’ shockingly high maternal mortality rates and normalizing breastfeeding, especially among women of color. Now, I have been invited to become a member of the Sigma Theta Tau International Honor Society of Nursing. Once more, I have to ask myself whether I’m dreaming, only this time it’s under completely different circumstances. I won’t lie, a sense of underlying anxiety persists within me, but I can now recognize that I have valuable coping mechanisms that I have learned through therapy, a group of friends and family members who are my rocks, and a sense of proudness and empowerment in what I have accomplished that cannot be taken away. I am eager to make my mark on the field of nursing. I can’t wait for what will come next. Rachel Robins, BSN, RN, is a fertility nurse at Extend Fertility and a nursing tutor with Upswing. She is currently earning a Master of Science in Nurse Midwifery at SUNY Downstate Medical Center with an expected graduation date of May 2020. For minority nurses who have ever considered operating their own business, opportunities have never been better for starting a case management firm. ased on projections from multiple sources, demand for case management has been increasing steadily. Persistence Market Research forecasted an annual growth rate of 3.04% for the period between 2017 and 2021. An IBIS World report noted that case management’s steady growth over the past five years has brought the number of case management firms in the United States to over 7,800 and industry revenues to $7 billion. Understanding these market conditions and how they are opening the door for new case management practices is something any entrepreneurial minority nurse with key case management credentials (i.e., Certified Case Manager), and/ or interest in gaining those credentials in order to pursue new opportunities, should understand. Also important to know are those areas where minority nurse case managers may have some distinct advantages. Minority nurse case managers also are in a good position to serve individuals of different ethnic groups as our nation’s multiculturalism increases. group views illness, medical professionals, medical treatments, technologies, end-oflife care, and medical directives can be extremely important in helping patients understand their conditions and treatment plans. This is critical in the patients’ overall well-being, treatment, and adherence to the prescribed plan. website at www.ccmc.org. Click on the “Get Certified” link. To prepare for the exam, there are many robust education and training programs available. We at Mullahy & Associates, for example, have a two-day CCMC-approved “CCM Certification Prep Workshop.” It offers excellent preparation for the exam and also earns nurses, social workers, and mental health professionals 14 Continuing Education credits. It also has been acclaimed as one of the most informative workshops available on best practices for case management. Among the materials provided to workshop participants is The Case Manager’s Handbook, Sixth Edition, which is used in hundreds of universities, hospitals, and other practice settings across the country and abroad. •	An entrepreneurial disposition. •	The ability to recruit, train, mentor, and motivate others to provide high quality case management services. •	Leadership skills. •	Strong communications skills. •	Business management skills covering key operational areas (i.e., administrative, financial, marketing, and legal). •	A commitment to stay abreast of the latest market developments and health care trends affecting case management and generating new opportunities. •	An appreciation for the importance of continuing education for yourself and your staff. At Mullahy & Associates, my partner, Vice President Jeanne Boling, RN, MSN, CRRN, CDMS, CCM, and I know what it takes to have a successful case management practice. In our current career stage, we are dedicated to helping case managers of all races and denominations succeed. We’ve developed continuing education workshops and seminars, as well as a suite of long distance and online learning tools to help case managers in their own firms or other practice settings. With the right education, training, and skills, we believe minority nurses can not only realize the professional fulfillment one achieves in their own business, but also will be helping to fill the growing need for high quality case management services. Catherine M. Mullahy, RN, BS, CRRN, CCM, is president of Mullahy & Associates and author of The Case Manager’s Handbook, Sixth Edition. I remember my last code. You know how it goes: it was 7:00 a.m., and I was charting as if my own life depended on it. The gray light of early morning oozed through the curtained windows. All was quiet, except for the clacking of the keys. My mouth tasted of too strong coffee, yet my eyelids dropped. It was almost time to go. The stress of nursing weighed down on me, the struggle to get through a shift. I had told myself since my last dance with my mental illness that I wouldn’t get myself into stressful situations—something absolutely impossible for a floor nurse. have stood like a statue had I tried. It was a matter of a few weeks before they fired me, and with good reason considering how I acted. Did I even deserve to be called nurse after all that happened in my struggle to be a good nurse? leave, and I was finally diagnosed—and treated for—bipolar disorder. I had worked so hard and given up so much for the privilege to call myself nurse. On my journey, I became a nurse, but as that journey continued, I found that I could be so much more, all the parts of me. thank those who removed me. I work as a practice administrator in a psychiatrist’s office now. My struggles with mental illness allow me to help those who are suffering or maybe are at a part of the journey that I recognize. I write, too, as you may have noticed. Since I lost my job, I’ve been using my skills in both nursing and writing to make a way for myself and my family. But I don’t feel like a nurse anymore. I don’t feel a part of that fellowship. I don’t remember drug names, and I can’t tell you what lab values mean. I worked so hard for entry into this club, and I feel on the outs. I feel disconnected with an identity I once held dear. I told my mother-in-law about missing nursing. She’s a positive woman, always upbeat. Certainly not like me! Her words were simple, though I doubt she understood the complexity of the situation. “Lynda,” she said, “you are more than a nurse now. Other people are just nurses.” I will admit that it still stings, despite my motherin-law’s wisdom. On my journey, I became a nurse, but as that journey continued, I found that I could be so much more, all the parts of me. And maybe, through that journey to becoming a nurse, I can help someone in their journey—whatever it maybe. To me, that’s all that ever really mattered. Lynda Lampert, RN, has worked medical-surgical, telemetry, and intensive care units in her career. She has been freelancing for several years and lives in western Pennsylvania with her family and pets. As we usher in the 116th Congressional Session beginning January 4, 2019, lawmakers (newcomers and incumbents) will have the opportunity to address a number of legislative and regulatory issues. Immigration reform, access to affordable health care, climate change, and national and global security are among a long list of issues that will be discussed and debated during this new congressional session. And while there are numerous competing demands as with all other legislative sessions, nurses are encouraged to remain abreast of issues that impact health care and the nursing profession. Health Policy serve. Remaining updated on policy issues is becoming even more essential for today’s health care professional. Our professional and specialty nursing organizations provide key resources and often have a specific policy agenda. Have you explored what your professional organization’s position is on a number of policy issues important to nursing? in person. Visit their web sites for more details. Numerous state nursing organizations and other health related organizations across the United States also convene lobby days providing yet another venue to lend your voice to a number of health-related causes. And remember to touch base with the Office of Government Relations within your health care system, university, or college. Regardless of position or setting, every nurse can seize the opportunity to weigh in on policy issues that are of importance to them. informed about opportunities to offer comments on proposed regulations, policies or key reports. The Register also highlights opportunities to apply to serve on national advisory committees. Volunteer to give testimony at hearings and town hall meetings as lawmakers can benefit from hearing directly from nurses on health care matters. Well that should keep us all pretty busy. In the meantime, check out some of the resources listed on the right to help with advancing your engagement in policy advocacy. *Check with your local and state Departments of Health to locate recent and local statistics. search and health equity at Rush University Medical Center. s you are probably aware, the demand for nurses continues to skyrocket. What you may not know is that there’s also a critical need for nurses with advanced degrees, as hospitals turn to nurses to fill more administrative and leadership roles. Nursing schools around the country are jumping at the chance to fill this void by offering flexible Master of Science in Nursing and Doctor of Nursing Practice programs, and you’ll find many great examples in the following pages. There truly has never been a better time to pursue an advanced nursing degree. Be sure to secure your spot in the program— and your financial aid—by applying early. LEARN MORE @ MONMOUTH.EDU/GRNU_INFO * For more information, visit monmouth.edu/GE.